A land of mysteries and strange affairs, our country is brimming with many wondrous stories. Some caused by natural phenomena, some a result of the bizarre weather conditions and others that we still seek an explanation for; traveling in India is nothing more than a roller coaster ride. Call it mysterious or wondrous but the list of these places genuinely portrays the incredibility of Incredible India. Amongst the 70 pillars of the temple, the hanging pillar of Leepakshi is beyond the level of explanation. This pillar hangs without any support and attracts many visitors. They pass objects under the pillars to check the claim to be true. 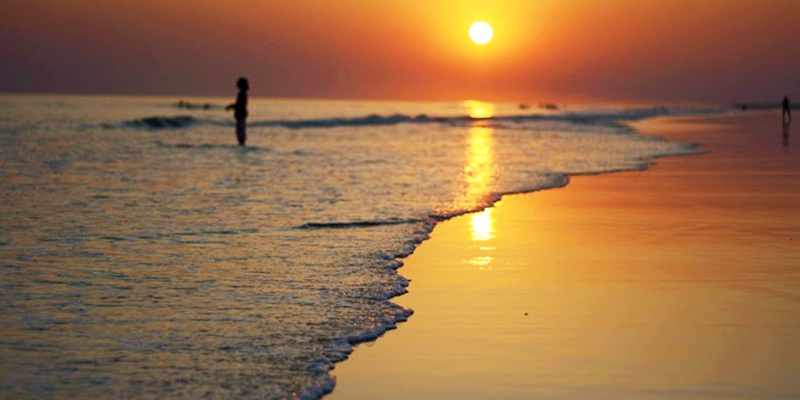 Chandipur beach is known to many as a disappearing beach. Surprisingly, not many people, including the visitors are aware of this strange phenomenon of this Beach. This amazing hide-and-seek of the beach gives lurking fear and curiosity of walking, that the high tide may hit the shore at any time. Astonished? The forests in the Western Ghats actually light up with an eerie glow during the monsoons. In vibrant shades of fluorescent green, the forest comes to life at night. 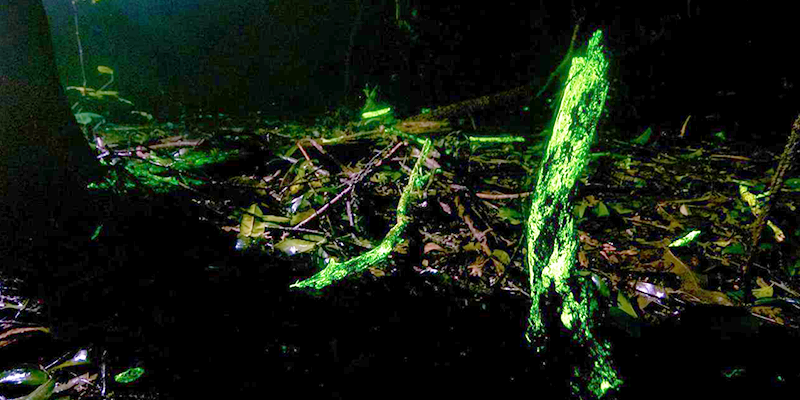 This occurrence is caused by a bioluminescent fungus on the bark and twigs of trees. 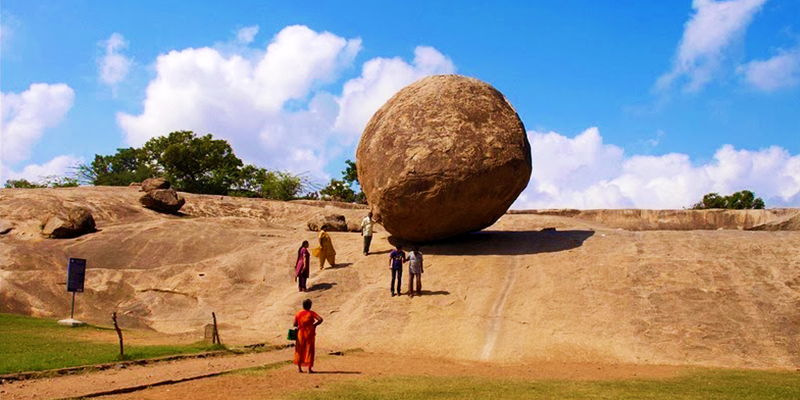 Defying all rules of Physics, Krishna’s butterball is nothing but a giant rock, almost spherical in shape balancing itself effortlessly on a smooth, downhill surface. How does this rock remain unmoving despite the angles at which it is located? Several attempts have been made to decode the mystery of this butterball but all in vain. 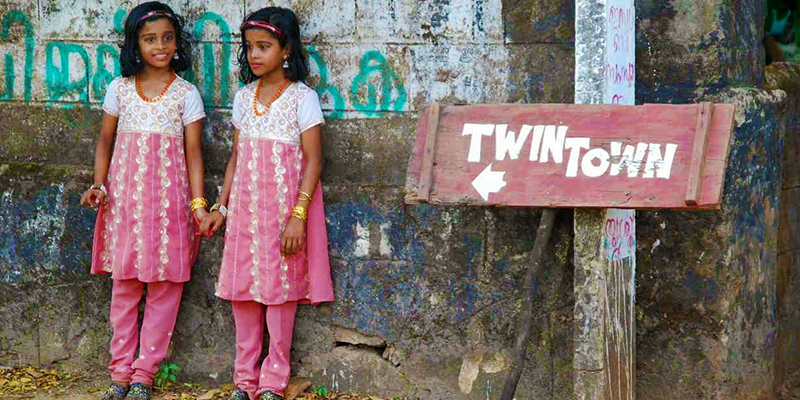 One in Kerala another in Uttar Pradesh, these two villages is acclaimed as the village of identical twins. This phenomenon is not only common among humans, but it is also reported; many cows give birth to twin calves. Call it a coincidence or genetic disorder, but this small village is really special with many identical twins. 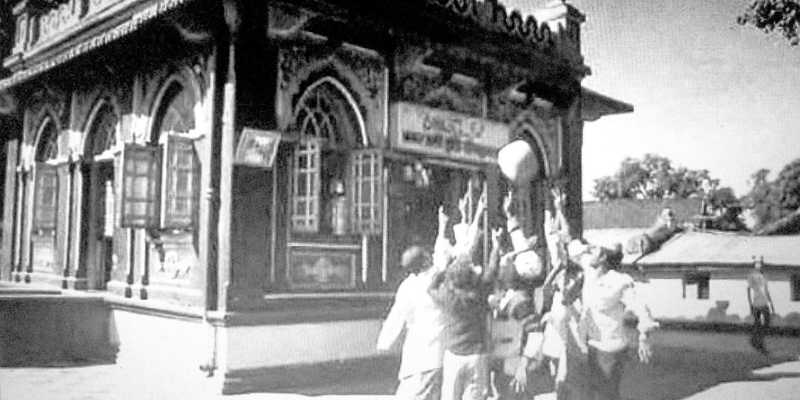 The shrine of Hazrat Qamar Ali Darvesh is no unusual shrine, it is listed among one of the mysterious places. The shrine is known for its 70 Kg special rock. It is believed that to lift the rock, 11 people are required to gather around it, touch it with their forefingers and call out the name of the saint loudly, following which the stone rises up in the air magically. There are no other means to lift the stone, no matter how strong it is! When ice melts in the glacier of Roopkund, hundreds of corpses can be seen floating in the middle of the most uninhabitable part of Himalayas. 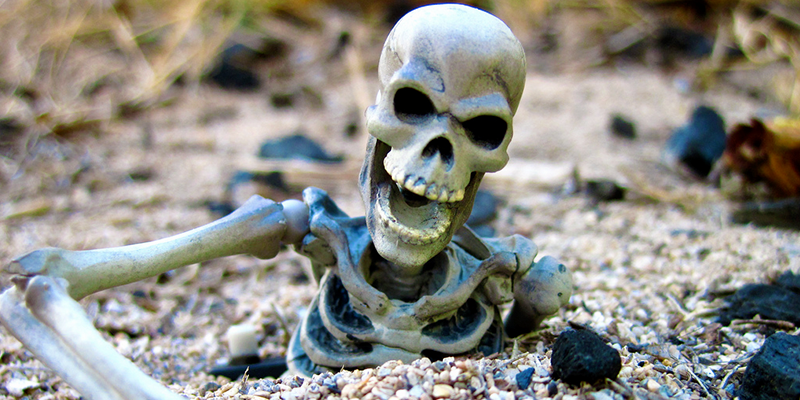 These odd human skeletons are the spine-chilling attraction of this lake. 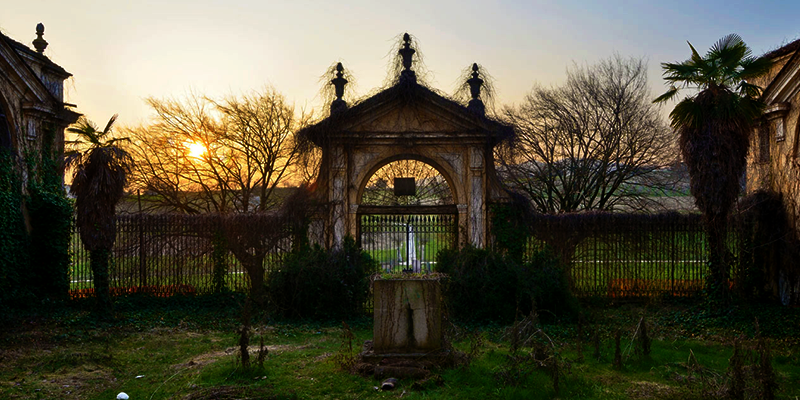 These remains have intrigued many scientists, historians, and local people. Who are these people? What were they doing at a place, 5000 meters above sea level? 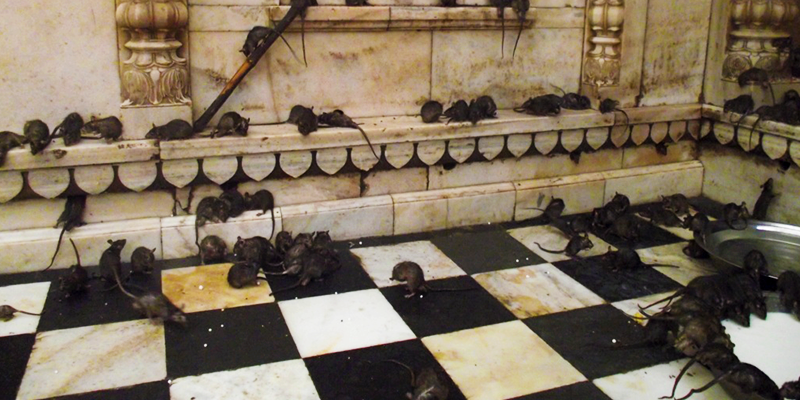 One of the holy sanctums and home to over 20,000 rats, Karni Mata temple is one of the mysterious places in India. Killing, hunting or even scaring any of these rats is strictly not allowed here. The rats here are believed to be reincarnated relatives and family members of Karni Mata and worshiped with devotion. Dare to visit these 10 Spookiest places in India! Giving such a list of places where mystery events happen will raise curiosity to visit these places, among youngsters as well as old people. Thanks you for the blog. Thank you N.kauring for your appreciation. Keep reading our blogs for more such stories. After reading this ,curiosity arise about these mysterious place to know and visit the places. Making the information available at one place is appreciable. Very mysterious places indeed. I am thinking of ways to uncover the truth behind these mysteries by visiting the places.